Kurt aka Dj Tido, has been involved in music since he was knee high to a Weta. Born and raised in the Garden City, Kurt has been recording and performing as a percussionist with various bands and touring around Australasia since the late 90’s. He has performed with a variety of musicians and producers some of which include: Hollie Smith, Latinaotearoa, Solaa, Ladi 6, Shapeshifter, Nathan Haines, Mark de Clive-Lowe, Scribe, The Shocking Pinks, P Bass Expressway, Very Tall Stories, Phonic Flight Trio & Ijebu Pleasure Club. Along with life as a musician, Kurt has been collecting music since his youth, amassing an extensive vinyl collection. 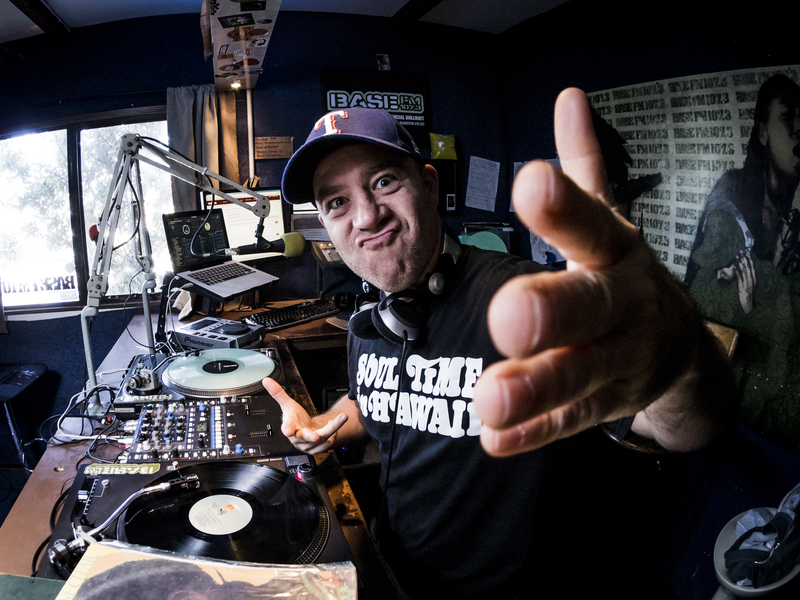 A natural conclusion was to play these records out in public which he has been doing as a Dj since ’97. He has spun records around New Zealand and Australia as well as performances in the USA, Canada, UK and Africa. 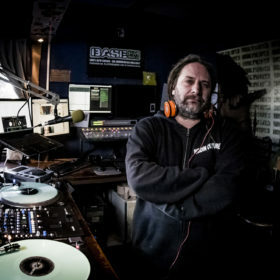 He hosted the long running Supafly Funk show on RDU in Canterbury for over a decade and has spent time behind the turntables in support of some great artists, such as: Mr Scruff, Lee Perry, The Mad Professor, Jazzanova, Fat Freddy’s Drop, Recloose, Opensouls, Electric Wire Hustle, Manuel Bundy, Sunshine Sound System and Frank Booker among others. 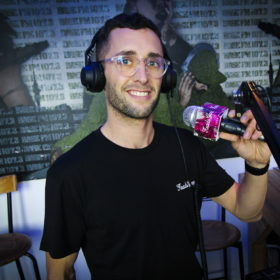 Kurt has been in Auckland since 2011, after trekking around the globe soaking up music from many countries and cultures. You can catch him spinning the platters that matter around Auckland on weekends. Selecting soul filled music spanning Jazz, Funk, Boogie, Latin, Afrobeat, Reggae and Hiphop. Join Dj Tido on the Actual Proof Radio Show every Wednesday morning from 10am – Noon. Favorite show BY FAR.. I love Wednesdays – Thank you. Cheers Bec, nice to have you listening and thanks for supporting the show. Keep tuned in and flip a txt on the txt-line next time, I’ll give you a shout out! Thanks Matt! Big love to you and the family! Love love LOVING this mix this morning!!!! Weds17/08….nice!!! !..stay at your BEST ! Thanks Becca, great to have you tuned in and enjoying the music. Loving this show. Superb funky mix. Great selection. The hip hopmix is dope.just wanted 2 no if allgoods if possible 2 aquire mix,but if not is it possible to get a list of the songs u played tonight. Wat a masterpiece offa collection. Cheers from 1 hip-hop lover to another. Thanks Rick, you can download the Hiphop mix from my Sound Cloud page. There are also some other mixes in there so go for your life. Enjoy!